Snow Banks are High and Inventory is Low! Are you worried about listing your home for sale because you don’t know where you would go if it sells before you find a new home? Please view our videos below and don’t worry! My house was on the market for 4 months with not much activity. 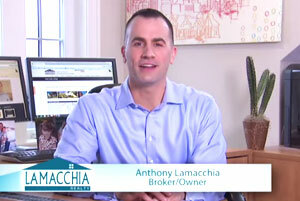 I decided to call the Lamacchia Realty Team after seeing their advertisement on TV. They came to my house and provided me with a realistic evaluation of the selling price based on the market and competition. They provided me with great communication throughout the entire process and sold my home in 24 days!!! The Lamacchia Realty team gave us realistic goals considering the market. We never had to be concerned if we were being told the truth. They made us feel very comfortable and they it was obvious that they knew our area well.